Running a company takes a lot of time and energy – clocking in long hours at the office, travelling, speaking with suppliers, customers, etc. But though the day to day takes up 90% of my time, critical to our line and its spirit is my annual research trips to Indonesia. 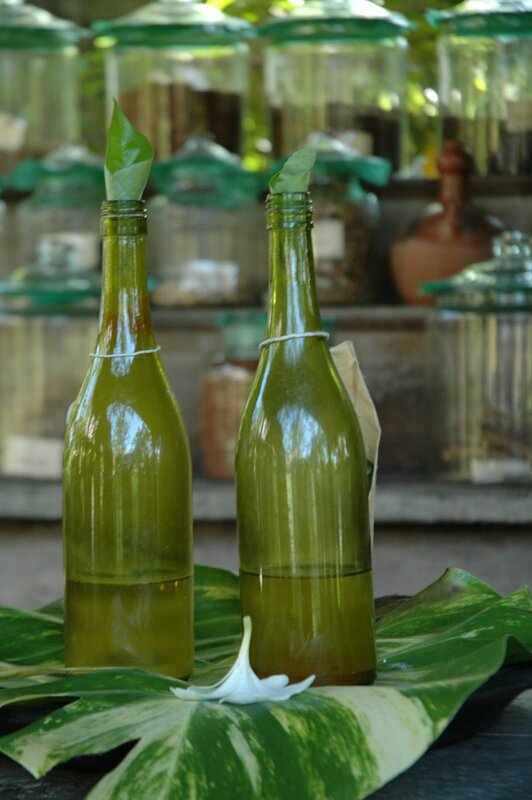 Born there myself, I have the benefit of speaking the local language, Bahasa, which enables me to do my investigations… Just as the heritage of JUARA goes back of hundreds of years, it’s still a living herbal tradition (called Jamu) that also evolves in the present. It’s a part of everyday culture, and despite its growing popularity with foreigners and tourists, it maintains its integrity. I usually start my trip in Jakarta, my hometown, where I combine family visits and ingredient research. I speak with herbalists, comb through markets, old herbal books and modern libraries to educate and inspire myself to see what delectable ingredients JUARA can bring to the US. Will it be Candlenut? Tamarind? Turmeric? Yes, yes, and yes so far. What’s next? It excites me that many of the ingredients are also in the local cuisine I grew up with, so I know firsthand what we can bring are ingredients that are not only good to you but also good for you! Some call it trendspotting, I call it a normal part of my research process. And then my annual trip to Bali. I admit, I get no sympathies from friends who hear that I’m sooo busy working, rushing around visiting spas (ie: experiencing delectable hours-long treatments) in Bali that have original and creative treatments inspired by an age-long tradition. I go to be re-inspired of what luxury and self-pampering really feels like when not in the hustle and bustle of New York – and remember this is what EVERYONE needs to be able to experience! I pack how I look and feel during the treatment process and after: refreshed, relaxed, re-energized, and oh-so-stress free, and pack it carefully in a mental box which I carry back to my teammates, and with a passion we infuse it on all our products and treatments. If only you could join me in Bali – if not, well, let me bring it to you. So, I’m going again this January of 2009 to do my research – I’m thinking of all of you as I go… any suggestions? I am a complete product junkie. I am always magically drawn to the beauty aisles, drugstores or duty free shops at airports. Even though my JUARA products constitute the core of my skincare program, my medicine cabinet at home is crammed with different products that I want to test or still use on occasion In other words, I am constantly trying something new and switching my program around, which is probably not such a good thing for my sensitive skin. I usually blame lack of sleep, temperature changes and air pollution, when my skin becomes blotchy or flaky. Last month, I had to travel to Las Vegas and Los Angeles for business for almost 2 weeks. Since I didn’t want to pay the free for check-in luggage, I decided to squeeze all my multi-tasking clothing and shoes into a carry-on case and reduce my toiletry bag to containing only the absolute necessities. For skincare, I only packed travel-sizes of my Rice Facial Cleanser, Tamarind Tea Hydrating Toner and Sweet Black Tea & Rice Facial Moisturizer. For sun protection, I packed Susan Posnick’s mineral foundation with SPF 20, which does not count as a liquid. All my skincare, hair care and toothpaste fit into a small zip lock bag, amazingly enough! I used the cleanser, toner and moisturizer every day, AM and PM, and absolutely nothing else. I had no choice! I was worried that my skin was going to look horrible because of the stress of travel, the dry desert air in Las Vegas and the fire pollution in LA. On the contrary: At the end of the 2 weeks, I couldn’t believe how good my skin looked: So calm, supple and serene. This experience was really a wake-up call for me. Now, back in New York, I religiously stick to my 1-2-3 basics: Rice Facial Cleanser, Tamarind Toner and Sweet Black Tea & Rice Moisturizer. Real simple, quick, easy and effective. Plus, now I know I can squeeze my toiletry products into one small zip lock bag.